Our range of products include pnp to npn convertor, entry alarm, digital clock, school bell timer, light controller and periodic bell alarms - 16 settings. Electronic Switches offers PNP to NPN Connertor or NPN to PNP convertor. This product is used for multiple applications and sensors. We are an acclaimed name engaged in offering our precious clients a superior quality range of Entry Alarm. This entry alarm is an automatic alarm which sounds only when a person enters the specified area and does not sound when the person leaves the area. 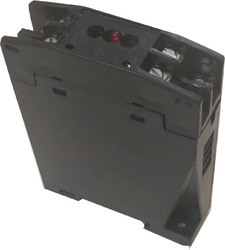 Offered entry alarm is accessible in numerous specifications so as to meet the demands of customers. Besides, this entry alarm is stringently tested on various quality parameters to ensure its defect free range. 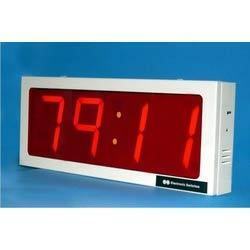 In our endeavors to be one of the preferred names in our domain, we are engaged in offering Digital Clock. The offered digital clock is developed utilizing top-notch quality raw material and advanced machinery under the supervision of our experts. Our digital clock is inspected on several parameters in order to deliver defect free range. When power gets off, display will not show the clock but clock operation will continues internally. Due to our honest business standards and transparent deals, we are steadily making our way to the platform of success by offering School Bell Timer. This bell timer is suitable for Schools or factories or offices for giving or sounding BELL or Siren at required preset time intervals. 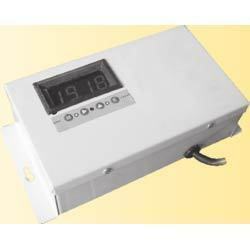 The offered bell timer is offered in various specifications as per the specific needs of the clients. 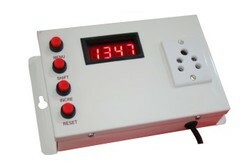 Our valuable customers can avail this bell timer in bulk quantity at competitive rates from us. We are one of the generally acclaimed manufacturers and suppliers of Light Controller. The offered light controller is broadly utilized for robotization of road lighting framework. The offered road light controller is produced using high level segments, sourced from exceptionally trusted sellers in the business sector. 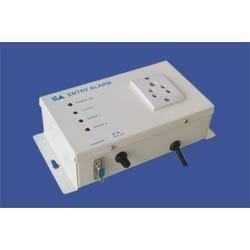 Power Supply : 220 V AC, 50 Hzs. Housing : Powder coated metal box.